"True Colours", the fifth album released by New Zealand band Split Enz, was their first major commercial success. Released in 1980, the album featured more mature songwriting from Neil Finn. Credited to him is the album's New Zealand and Australian #1 single, "I Got You," which also broke them internationally. The US release of the album featured "Shark Attack" and "I Got You" in reversed positions due to the latter's success on the single charts. Originally, the band thought "Missing Person" to be the album's standout track, not realizing "I Got You" would become the hit. "I Hope I Never" was mixed differently for the Australian single release, with strengthened percussion. "Nobody Takes Me Seriously," "What's the Matter With You" and "Poor Boy" were released as singles in the northern hemisphere. The album cover was initially released in four colour combinations – yellow and blue, red and green, purple and yellow, and blue and orange – but would ultimately be given another four makeovers with releases in lime green and pink, hot purple and burnt orange, gold and platinum (to mark its sales milestones), and finally yellow, blue and red. 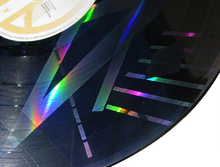 When it was later released on the A&M label, wild, imaginative shapes and patterns covered the vinyl using a technique known as "laser-etching". When light hit the record, these designs would protrude and spin about the room. The album was the first to ever use this technique, originally designed to discourage the creation of counterfeit copies. 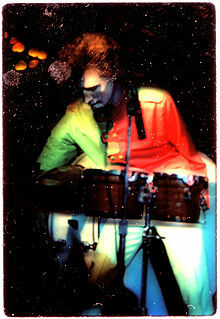 A synthesizer melody played in "I Wouldn't Dream of It" was first introduced in an early Split Enz recording, aptly titled "The Instrumental". True Colours was remastered by Eddie Rayner and re-released on two occasions. Firstly in 2003, and yet again with the rest of the Split Enz catalogue on 20 May 2006 with the bonus tracks: Things and Two Of a Kind. In October 2010, the album was listed at number 22 in the book, 100 Best Australian Albums, despite being a New Zealand production. All tracks written by Tim Finn unless noted. NOTE: On the A&M version (SP-4822), tracks 1 & 2 are inverted. The listing above is the original Mushroom (AUS) / Polydor (NZ) listing. True Colours Tour, Commodore Ballroom. Reviewed in Roadrunner at the time of release, it was described as, "a thoughtful, reflective album. The approach to songs is more straight forward, more serious, than the Split Enz we are all used to." UK A&M SP-4822 stereo (1980). Album produced by David Tickle.